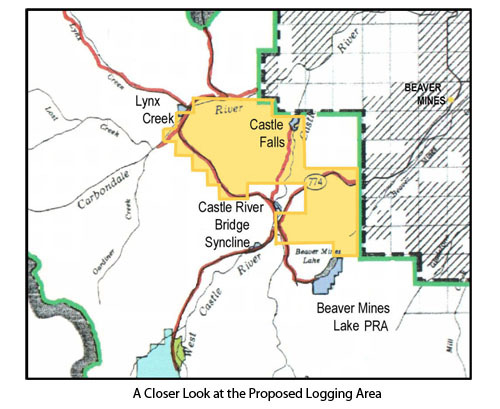 Here is a closer view of the map showing the area currently proposed for logging. It should also be noted that this is just the first in a series of proposed insults in the Castle. Areas on Gladstone Creek, Mill Creek, and Whitney Creek are scheduled to be logged next. Many of us have been receiving responses to our letters objecting to the proposed logging from Minister Knight and from Evan Berger. Unfortunately, instead of listening to Albertans and cancelling the logging, they seem more interested in defending the interests of Spray Lake Sawmills and the Department of Sustainable Resource Development. 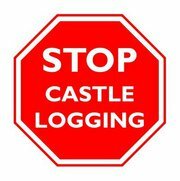 You are currently browsing the Stop Castle Logging blog archives for August, 2010.